We are committed to keeping our students safe. For just $47 per student, our Campus Security Upgrade program will be fully funded. For information on the Security System and plans, click the “Donate Now” button to be directed to the GoFundMe page and see all the details. This is a tax deductible donation. Invest in a Child’s Education! The State of Arizona offers taxpayers the opportunity to contribute toward extra-curricular programs to any public school of their choice and receive a credit on their state taxes, better known as the Arizona Public School Tax Credit. Is your business or family interested in the benefits of sponsoring our athletic program? San Tan Charter School is a close-knit community that feels like a family. 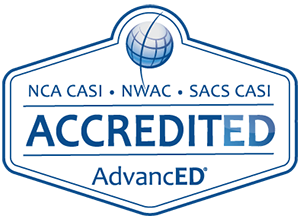 As a tuition-free public charter school, we receive funding from the State of Arizona similar to a traditional public school. However, public charter school students traditionally receive 20% less than what is given to public schools. Charter schools are finding success because the private sector is better at managing funds, motivating teachers and staff, and focusing more on what children need for a quality education. San Tan Charter School has a culture of excellence, caring, generosity, and going above and beyond. At San Tan Charter School we have multiple ways for family, friends, and the community to contribute through tax deductible means to help support the growth and success of our students. Besides the Arizona Public School Tax Credit program we have a GoFundMe program established to upgrade our campus security at both campuses. We are committed to keeping our students safe. We’ve been seeking out ways to make our campus more secure. To accomplish this, we have started a campaign to raise funds to install security systems on both the Power and Recker campuses for the 2018-2019 school year. For complete details on the security system including the visitor screening system, safety and security film, and surveillance cameras, please visit https://www.gofundme.com/santan. San Tan Charter School has already made commitments of almost $8,000 towards the system, which leaves $40,000 towards the security film and surveillance cameras. If you are looking for an additional way to help STCS, this is a great way to do it. You will be able to see the transformation first hand and know that you helped make it possible. For just $47 per student, this project will be fully funded. This donation does not impact the amount you can give through the Arizona Public School Tax Credit program. 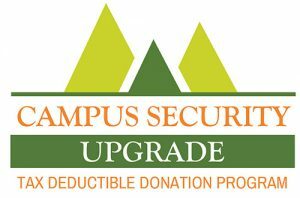 With a maximum donation of $400 through the AZ Tax Credit program, if you would like to give more, we will be happy to accept it through our Campus Security Upgrade program and put your investment to good work. 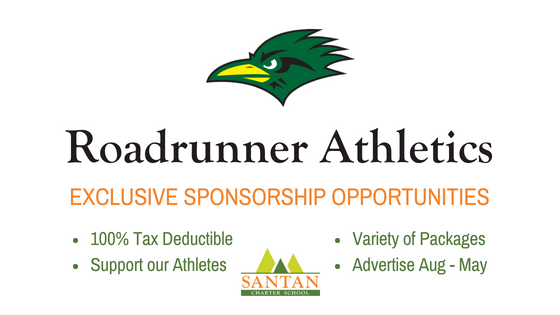 Is your business or family interested in the benefits of sponsoring our athletic program? Here are some of the numerous benefits! Our Roadrunner athletics has set the bar for Charter School Sports, winning over 13 titles last year alone. You are supporting our student athletes! 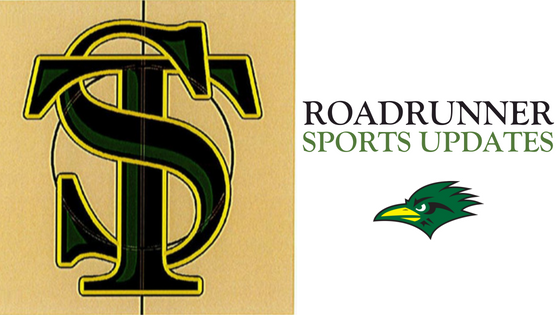 Whether you want visibility at our Football/Baseball games with an average attendance of 400 spectators per game or in “THE NEST” with our Basketball/Volleyball teams which host over 30 games per year this is the way for you to be seen by thousands of Roadrunner fans. Invest in a Child’s Education! The State of Arizona offers taxpayers the opportunity to contribute toward extra-curricular programs to any public school of their choice and receive a credit on their state taxes, better known as the Arizona Public School Tax Credit. Arizona Tax Law (ARS 43-1089.01) allows for married couples, filing jointly, a tax credit of up to $400, and individuals a tax credit of up to $200. The tax credit is available to all State of Arizona taxpayers, regardless of whether they have children in school. Any State of Arizona taxpayer can direct their school tax credit funds to San Tan Charter School, either in the full amount or share their donation with multiple schools, up to the maximum donation amount. An example of how the Tax Credit can improve STCS, if only 100 families contribute the $400 allowed by the State of Arizona, that would be $40,000 that would be used for our schools, above and beyond what the government provides. What could an extra $40,000 do for the STEM Program, or the Music Program or the Athletic Program? What if 1,000 friends and families joined this effort? How does this credit work? Up to $400 of the amount you contribute may be claimed as a state tax credit on your income tax return. For example, if you contribute $400 to San Tan Charter School, your state tax credit would be $400, which may be subtracted from any taxes you owe that year. When is the last day I can give my contribution? All contributions must be submitted by the end of the Calendar Year. You may pay in person, via postal mail, or via our electronic form. If you mail in your donation, make sure it is postmarked prior to Tax Day of the following year. We will also work with you on monthly, quarterly, or bi-annual contribution toward the Arizona Tax Credit, if that fits your budget best. Do the tax credits go directly to the school or to the district? Contributions for the tax credit are donated directly to the school—not to the school district, and not even to the state. Your donation will go exactly where you want them, to the school, the students, the staff, and their programs. No, Tax Credits are non-refundable. I have enjoyed learning my entire life and wanted to go into many different fields as I was going through school, from a marine biologist to an attorney. My love for the law and history won out with a minor in science. By becoming a teacher, I can impart that love for learning to others while continuing to be the student. Every year I learn so much from my students as I work to perfect my craft. 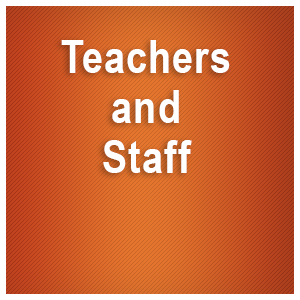 I began my career in a high school setting North Dakota and have been a 4th grade teacher at San Tan since 2011. I have wanted to be a teacher since I was five years old. I was on that path when I decided to take a year break from college. During that time, I found a job with a great company in the corporate world. I started making much more money than a teacher would. As a Corporate Training Manager I felt I had somewhat satisfied my dream of being a teacher. I quit that job to start a family and with three boys attending STCS I volunteered multiple times a week and served on every committee I could. During this time, I realized what incredible people work at STCS. When offered a job here, I jumped at the chance and I am blessed to be able to spend time with amazing children and work toward fulfilling my dream of being a teacher. I became an educator because I wanted to be a role model and influence students in a positive way and see student grow into their highest potentials. I have been teaching for 11 years. I began my first year at S.H.A.R.P teaching 5th thru 8th grade students. I then taught two years at Gilbert High School and I was Head JV Coach for football. I then moved to Red Mountain and taught there for 8 years before coming to San Tan. I am entering my 2nd year here at San Tan as a Secondary math teacher and Varsity football coach. I am extremely excited to be a part of the new high school for San Tan and to help it become amazing!